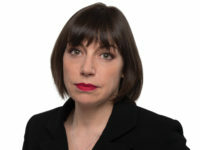 A former BBC journalist has been deported from Egypt in what appears to be a reaction to her decision to air critical views of president Abdul Fattah al-Sisi and his government on her talkshow. 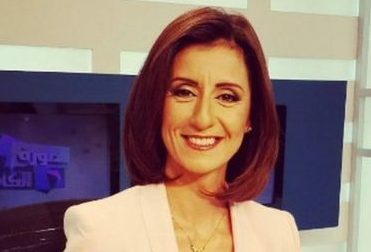 Liliane Daoud, who hosts current affairs show Al-Soura Al-Kamila (The Full Picture), was detained by police at her home in Cairo on Monday and put on a plane to Beirut. 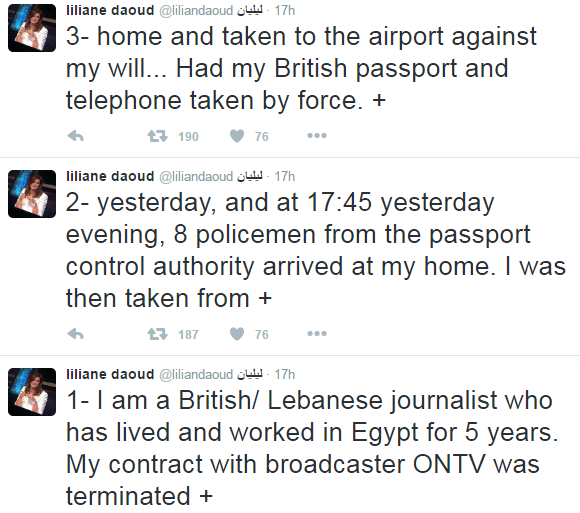 The British-Lebanese journalist took to Twitter to share news of her deportation and the termination of her contract with broadcaster ONTV, revealing she had her passport and phone taken from her. She is now in Beirut with her family, but has been separated from her 11-year-old daughter. 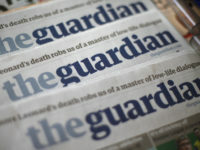 In a series of nine tweets she said: “I am a British/ Lebanese journalist who has lived and worked in Egypt for five years. My contract with broadcaster ONTV was terminated yesterday, and at 5.45pm yesterday evening, eight policemen from the passport control authority arrived at my home. Ms Daoud’s lawyer, Zyad el-Elaimy, told Associated Press: “It’s the first time someone is deported in this fashion in Egypt.” He said the Egyptian authorities were “not prepared to hear any diverse voices or to hear anyone who is supportive” of the 2011 Arab Spring uprising that toppled president Hosni Mubarak. 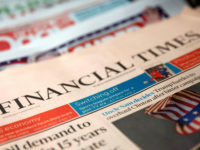 OnTV was sold last month by the billionaire businessman Naguib Sawiris to Ahmed Abou Hashima, a steel magnate and Sisi supporter, according to the BBC. 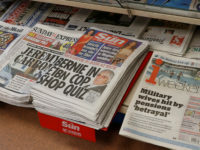 In May, leaders of the Egyptian Journalists’ Syndicate were charged with “harbouring fugitives” after a police raid resulted in the arrest of two of its members who worked for a website opposed to the government.